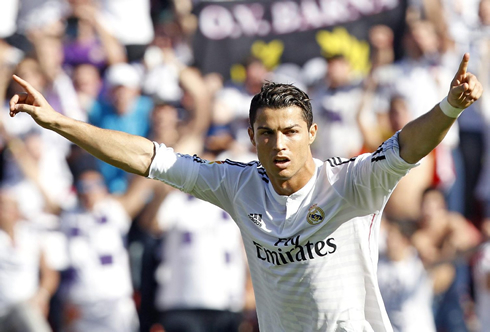 ﻿ Fabio Capello: "Cristiano Ronaldo isn't as technically gifted as Messi"
31.10.2014 » Fabio Capello: "Cristiano Ronaldo isn't as technically gifted as Messi"
In a talk with a Spanish radio station earlier this week, Carlo Ancelotti approached a few topics related to the Spanish League and obviously didn't forget to also discuss about Cristiano Ronaldo and Lionel Messi's main qualities and differences. During the interview, the 68-year old Italian coach confessed he got a bit perplexed with the way Iker Casillas has been recently treated by the press and that, at this point of the season, Real Madrid are clearly a stronger team than Barcelona quite simply because they have a better balance on the pitch. La Liga action returns this weekend, with the Merengues kicking off the round on Saturday with a visit to Granada and later that day, Barça playing host to Celta de Vigo at the Camp Nou. The former Real Madrid manager started by admitting that it was true that he once tried to sign Lionel Messi, back in the days where he was coaching in Italy, at the helm of Juventus. Fabio Capello: "It's not a lie that I've had a talk with Rijkaard during a friendly between Barcelona and Juventus for the Joan Gamper trophy and that I asked him if they could borrow us Messi for a year or two. Barça were already over their non-EU players quota, but Rijkaard assured me that they were working to sort that out in the near future. I knew how good my full-backs were and that's why I immediately realized that Messi had something special in him when I saw him playing in that game", stated the Italian tactician when remembering a friendly game that was played between Barça and Juve at the Camp Nou, during the 2005-06 pre-season. 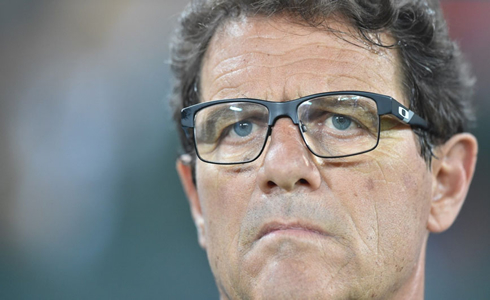 Capello: "Neymar is also a phenomenal player, but unlike Messi, I don't like the way he throws himself to the ground every time someone touches him. Pepe from Real Madrid does the same too though... When their teams are ahead in the scoreboard and they feel the slightest contact, they just go down way too easily. That's something I clearly don't appreciate, since I'm more of a fan from the British spirit on the pitch. Messi for example, never attempts to take advantage from his opponents' excessive roughness, and he does get hit a lot...", remarked the 68-year old manager when discussing the diving issue in Spain. The FIFA Ballon d'Or winner is going to be announced on January 12 of 2015, but at this point of the campaign, few are the ones who still doubt that Cristiano Ronaldo will win it for the third time in his career. 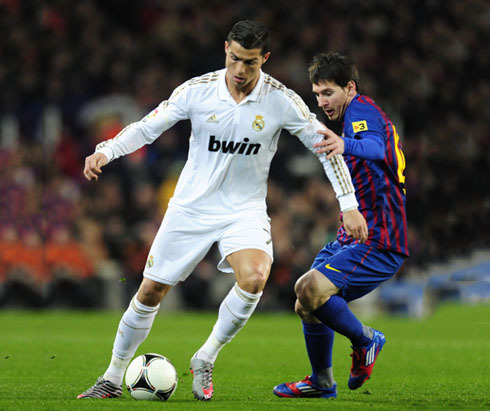 Nevertheless and even though Capello has no problem acknowledging most of Ronaldo's qualities, he seems to still prefer Lionel Messi over the Portuguese. Fabio Capello: "Cristiano Ronaldo and Lionel Messi are two extraordinary players, but it's also undeniable that they are very different from each other. Cristiano is an explosive type of player, with great technique, but he's still not as gifted as Messi in my opinion. 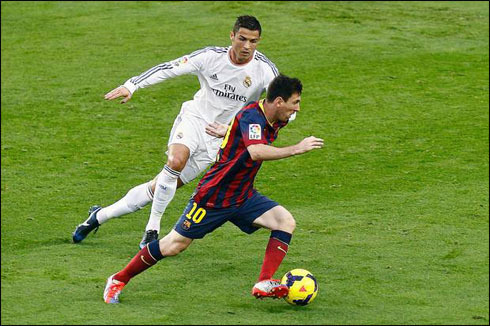 Leo Messi remains being an incredibly difficult footballer to play against...", said the former Merengues manager. Capello: "The whole situation that happened with Iker Casillas doesn't seem to have been fair to him and I still don't understand the on-going debate about who should be Real Madrid's goalkeeper. He's a spectacular player and he has simply been through a difficult period in his career, something that can happen to any of us in our jobs. Even Messi had a time where he didn't look the same... People need to recognize a player's true value and simply help him getting over his confidence issues whenever that ends up happening", stated the current Russian National Team manager. Cristiano Ronaldo next game for Real Madrid is a fixture for La Liga against Granada, on November 1 (Saturday). You can watch Juventus live stream, Granada vs Real Madrid, Barça vs Celta Vigo, Newcastle vs Liverpool, Arsenal vs Burnley, and Bayern Munich vs Borussia Dortmund, all matches provided from our soccer live streaming game pages.